Lights, Camera, Novel: Rene Gutteridge and John Ward’s Heart of the Country. Heart of the Country labels itself as “A modern re-telling of The Prodigal story, in the form of Wall Street meets Sweet Home Alabama meets Nicholas Sparks.” Half of the references in that description speak to notions of down-home, good old-fashioned Southern families and romance. Sweet Home Alabama was a popular romantic comedy about a displaced Southerner who returns from New York City and her successful, sophisticated lifestyle, and winds up reconnecting with her roots. Nicholas Sparks, who has been blogged about on here in the past, is a notable North Carolina resident and something of an icon who has shaped popular romantic writing, and with it, the image of the state. After Faith Carraday’s husband, Luke, is caught taking part in some shady business dealings, he is arrested. Faith abandons Luke and their life together in Manhattan and seeks solace with her father and sister in her hometown in Columbus County, North Carolina. Unfortunately, her reception is strained. Faith bolted from home when she was given the opportunity to attend Julliard. Since then she hasn’t remained close with her father, Calvin, and sister, Olivia. Olivia is jealous of sharing their father’s affections, and, Calvin has grown old and tired. As Faith tries to heal and sort out her life, Luke approaches his high society family and attempts to make amends. The story was co-authored by novelist Rene Gutteridge and screenwriter/director/actor John Ward. As if taking a cue from Nicholas Sparks and his writing method in The Last Song, Heart of the Country was written in novel form and screenplay, fairly close together; Gutteridge indicates working with Ward’s material in her acknowledgement. Gutteridge took a larger role in the novel and Ward in the screenplay. Both the film and the novel were released in 2013. The film version was shot on location in Wilmington, North Carolina and New York City. Jana Kramer stars as Faith Carraday and Gerald McRaney, an actor primarily known for his work on TV shows, plays her father Calvin. Funnily enough, McRaney has an unlisted role in Nicholas Sparks’s upcoming adaptation, The Best of Me. Kramer played a supporting role in One Tree Hill – also set in North Carolina and filmed in Wilmington — in seasons 7 and 8 and the first two episodes in season 9. She left the show to pursue her country music career. During this film, Kramer gets a chance to flaunt her musical talents on screen with a few songs. It’s not a surprising coincidence that One Tree Hill and Heart of the Country were filmed in Wilmington, however. Over the years, Wilmington has earned the nickname of “Hollywood of the East,” “Hollywood East,” and even “Wilmywood.” Our State attributes Wilmington’s major break in the film industry in the early 1980s to Dino DiLaurentiis’s adaptation of Stephen King’s Firestarter, which starred a young Drew Barrymore. DiLaurentiis was interested in finding a plantation for filming, and after a location scout shared a photo of Orton Plantation, DiLaurentiis was smitten. So smitten, in fact, that he built a studio in Wilmington. Since Firestarter, Wilmington has been the backdrop to films like Blue Velvet, Weekend at Bernie’s, Sleeping with the Enemy, a handful of Nicholas Sparks adaptations, The Secret Life of Bees, and more. Wilmington Regional Film Commission has lists for Feature Films, TV Shows, Music Videos, and Commercials shot in the area. The North Carolina Film Office likewise has a listing of films and TV shows shot in the state. Of these films and TV shows listed, it might be interesting to consider how many were really set in North Carolina, or crafted to look like another location? Heart of the Country sticks close to home. Although the story is set in Columbus County and Wilmington is actually located in New Hanover County, the two counties neighbor each other on the southern tip of the state, so shooting in Wilmington wasn’t much of a departure from the storyline. Read the original post that covers the novel version of Heart of the Country here. Both the novel and the film are available through the UNC-Chapel Hill Library catalog. Sources consulted: Bayridge Films, CMIL, Examiner, Facebook, Heart of the Country, IMDb (The Best of Me, Heart of the Country, Jana Kramer, Gerald McRaney, Sweet Home Alabama), Jana Kramer, NC Hollywood, North Carolina Film Office, Our State, Rene Gutteridge, Taste of Country, Wikipedia (Jana Kramer, Gerald McRaney, One Tree Hill), The Wilmywood Daily, Wilmington Regional Film Commission, Inc. When it comes to romance, Nicholas Sparks has made a name for North Carolina. Although not a native North Carolinian (he hails from Omaha, Nebraska) Sparks’s geographical obsession with the state has become a hallmark of his writing. In all, Sparks has authored seventeen novels and one autobiographical travelogue. All but the travelogue are set in various locations around North Carolina. Sparks is often very active and hands-on in the process of adapting his novels for the big screen. As of now, eight of Sparks’s novels have been made into films and the ninth and tenth are on the way. Three of the eight adapted novels have been blogged on here in the past: The Lucky One (2008), The Last Song (2009), and Safe Haven (2010), so we’ll focus on those. His five earlier adapted novels: The Notebook (1996), Message in a Bottle (1998), A Walk to Remember (1999), Nights in Rodanthe (2002), and Dear John (2006) haven’t been covered on the blog, at least not just yet. Chronologically, Sparks wrote The Lucky One before the The Last Song, but the film based upon the later was released first. The Last Song (book released 2009, movie released 2010) is a bit of an anomaly in that formulating the screenplay for the film inspired Sparks to create a corresponding novel. The idea for the novel came about when Miley Cyrus, at the time primarily known for her starring role in Disney’s Hannah Montana, was searching for newer, more mature work. Cyrus met with Sparks and he devised an idea based on her interest. His story focuses on a daughter and father healing their estranged relationship. A budding romance between the daughter and a privileged local boy and loggerhead sea turtles appear heavily in the sidelines. The Last Song was a slight departure from his other works as the characters were teenaged and most of his works featured adult and middle-aged characters. Although Sparks stuck to his customary North Carolina setting (Wilmington) for the novelization of The Last Song, the film was relocated to Georgia and shot on Tybee Island and in Savannah. North Carolina vied against Georgia during the selection process. Ultimately, Disney selected Georgia over North Carolina on the basis of film tax incentives. Losing a deal with Disney and The Last Song was an especially hard blow since Sparks’s last adaptation, Dear John, was also filmed outside of North Carolina. Reviews of the film were mixed, though Miley Cyrus’ performance was praised — see an enthusiastic review of her acting by Roger Ebert here. By contrast, The Lucky One and Safe Haven featured romances between attractive twenty-and-thirty-somethings. The Lucky One (novel released in 2008, film released in 2012) starred another Disney teen sensation, Zac Efron and Taylor Schilling. Like Cyrus, The Lucky One was one of Efron’s gateway roles as an adult actor. The plot follows a Marine, who during his third tour in Iraq, finds a photo of a mystery blonde woman that becomes his lucky charm. After his return to the US, the Marine searches for his lucky Jane Doe. Again, the setting was the defining change for the adaptation. The movie was set and filmed in Louisiana as a result of film tax incentives. Sparks seemed unconcerned about the geographical shift. In a quote from Nola.com, website of The Times-Picayune, Sparks explains that he aims for his novels to feel interchangeable and relatable: “I try to write stories that feel like they could happen anywhere…And that’s what I’m trying to do, too, is write a universal story that people will really enjoy.” Audiences enjoyed The Lucky One while critics were split. Safe Haven (novel released in 2010, film released in 2013) tells the tale of another mystery woman, who quietly moves into the small, coastal city of Southport. She doesn’t mean to fall in love, but she can’t escape the attentions of a handsome widower with two children. Once she gets to know him, she can’t help but to fall in love. Unlike the other two films, Safe Haven was filmed entirely on location in Southport and Wilmington. IndyWeek notes that the movie is only the third of Sparks’ eight adaptations to be shot exclusively in-state. The other two films were A Walk to Remember (2002) and Nights in Rodanthe (2008). Yet again, the critical response was mixed. Roger Ebert issued a much harsher review compared to his review of The Lucky One, based on his visceral response to Safe Haven’s surprise ending. 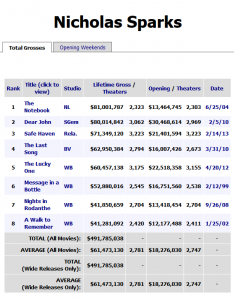 Despite critics’ response to Safe Haven, it was a success with audiences again. Clearly the divide between critics and audience is a pattern with Sparks’ book-to-movie adaptations. 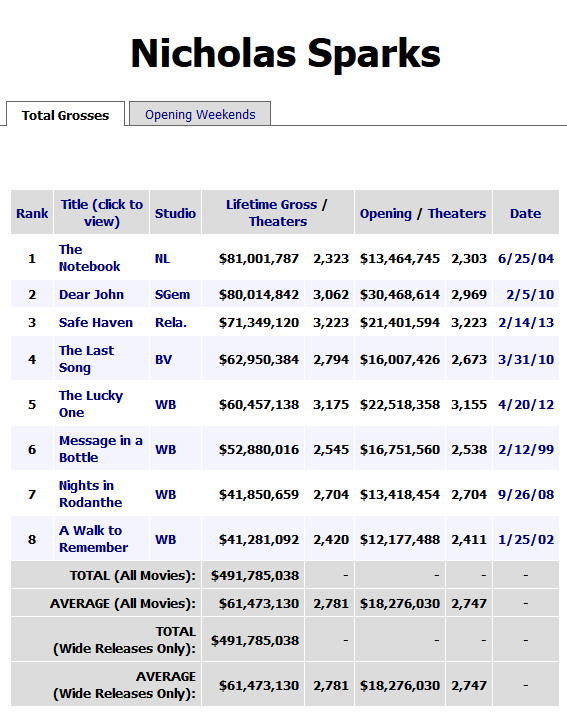 Screen capture from Box Office Mojo site representing the box office sales of Nicholas Sparks film adaptations. While critics might not universally laud his films, audience-goers buy the tickets. All three films were box office successes. Sparks has cracked the secret to commercial success, now only if North Carolina could figure out a way to keep his adaptations in-state. The Best of Me stars James Marsden (who replaced the late Paul Walker) and Michelle Monaghan. Filming is underway in Louisiana. His latest novel, The Longest Ride, is in pre-production and it was recently announced that Clint Eastwood’s son, Scott Eastwood will play one of the lead roles. Here’s to hoping that movie will be filmed locally in NC. Read the original blog posts on The Last Song, The Lucky One, and Safe Haven. The novel and film for The Lucky One are available through the UNC-Chapel Hill Library catalog. Currently, only the novels for The Last Song and Safe Haven are available. Both films are available through the Chapel Hill Public Library though. Lights, Camera, Novel: James Patterson’s Kiss the Girls. James Patterson’s Alex Cross series was perfectly timed for moviegoers of the nineties who were primed for psychological thrillers after a number of popular hits. Reviewers drew comparisons between Kiss the Girls and other releases like Silence of the Lambs and Se7en. However, the comparisons between the films were not entirely favorable. 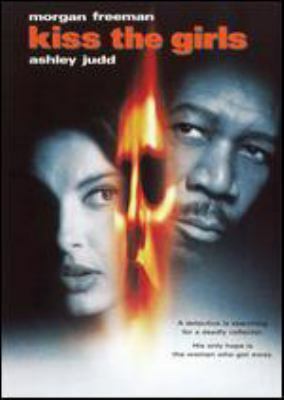 Kiss the Girls starred Morgan Freeman and Ashley Judd, whose career was just beginning to accelerate. Kiss the Girls is Patterson’s only novel that features a North Carolina setting. But Patterson layered plenty of authenticating detail in his book to evoke the Raleigh-Durham-Chapel Hill area. Filming locations for the movie adaptation were largely limited to Durham, and of course, Los Angeles. The University of North Carolina at Chapel Hill did not to approve the film’s request to use the university’s campus during shooting. In the past, the University has a mixed record of accepting some requests to film on campus, but rejecting others. According to a Daily Tarheel article from 2001, UNC’s major ruling factor is maintaining the University’s image. The University also considers how the project might provide opportunities or disruptions to campus life. Ultimately, the University decided against Kiss the Girls due to its graphic content. Chapel Hill officials did not consent to give the producers permission to shut down Franklin Street for filming. 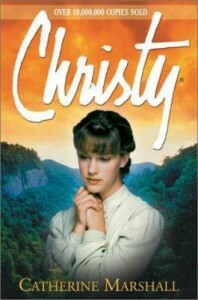 Although Kiss the Girls is second in the Cross series it was adapted first. Along Came a Spider, the first novel in the series, was a follow-up in 2001. While Kiss the Girls performed well at the box office, critics panned the film for pacing issues and a lack of uniqueness. Both Freeman and Judd were commended for their performances however. In 2012, Tyler Perry starred in an Alex Cross reboot. There are plans for a sequel reportedly. The movie version is a bit more solemn than the novel. In the book, Kate’s introductory remarks are self-deprecating and elicit a few smiles. More or less, the monologues match up. But both versions represent Kate as a strong and intelligent character, in spite of her ordeal. Patterson’s novel is available through the UNC-Chapel Hill Library catalog. There are copies at Davis Library and Wilson Library. The film adaptation is available through the UNC-Chapel Hill Library catalog as well. Copies can be found at the Media Resources Center in the Undergraduate Library and Wilson Library. The original blog post for the novel is here. Lights, Camera, Novel: Kathy Reichs’ Temperance Brennan Series. Kathy Reichs (left), author of Temperance Brennan series and Emily Deschanel (right) star of Bones, a TV show loosely adapted from Reichs’ series. Image courtesy of www.kathyreichs.com/bones. Bones is approaching the ten-year mark. Season nine is well underway and the popular crime drama has been renewed for another season. But before there was Bones, forensic anthropologist Kathy Reichs penned the Temperance Brennan series. Reichs has mentioned during interviews that she began writing the series after she became a tenured professor at the University of North Carolina at Charlotte. After authoring journal articles and textbooks, Reichs was interested in trying something new. Fiction seemed like the best way to share science with a more generalized audience. Reichs wrote Déjà Dead, the first book in the series in 1997. Now, in 2014, there are sixteen books in total, with number seventeen due out at some point in the next year. Reichs’ Temperance Brennan series and subsequent Bones TV adaptation, which debuted in 2005, have infiltrated pop culture. But the two formats, more aptly, the two Tempes, are quite different across several categories. “Book Tempe” is a little older than “TV Tempe” and more situated in her career. She’s also a divorced mom whereas her TV counterpart is has never been married and is child-free. “TV Tempe” works at the fictional Jeffersonian Institute in Washington, D.C. and “Book Tempe” splits her time, much like Reichs, between teaching at UNC-Charlotte and assisting on crime scenes at the Laboratoire des Sciences Judiciaires et de Médecine Légale in Montreal. Both deal with personal problems. For instance “Book Tempe” negotiates her past alcoholism whereas “TV Tempe” struggles with her deficient social skills and lack of pop culture knowledge (an ongoing joke in the show); her behavior has been remarked on for its characteristics reminiscent of autism. The Tempes have at least two things in common though – each series is long-running and each exists as a result of the support and input of Reichs. In the case of the novels, Reichs is the author, tapping into her life experience. On Bones, Reichs is a producer who balances the entertainment with scientific accuracy. Reichs has written one episode for Bones, “The Witch in the Wardrobe,” which aired in 2010 (Season 5, Episode 20). They might be markedly different, but the two incarnations of Tempe have Reich’s stamp of approval. Audiences can feel free to love two versions of the same woman. While Bones is not available through the UNC-Chapel Hill Library catalog, all of the published books in the Temperance Brennan series are available. You can read a previous synopsis of the series here. This blog has individual entries on Death du Jour, Deadly Decisions, Fatal Voyage, Bare Bones, Devil Bones, Spider Bones, Flash and Bones and Bones of the Lost. 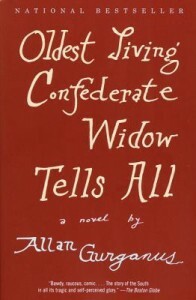 Lights, Camera, Novel: Allan Gurganus’s Oldest Living Confederate Widow Tells All. On-screen, the Oldest Living Confederate Widow Tells All is much like its novel counterpart. Clocking in at a hefty 718 pages, Allan Gurganus’ debut work is no quick read. And the miniseries isn’t exactly a half-hour sitcom either. Given the length and the detail of the novel, it’s not surprising it would take four hours to adapt the epic life story of Confederate widow, Lucy Marsden. Lucy’s life story was heavily influenced by her marriage at age fifteen to Captain Willie Marsden, thirty-five years her senior, and, until his death, the last surviving Confederate soldier. Gurganus’ celebrated novel is told from the perspective of the still spunky ninety-nine year-old Lucy who resides in a North Carolina nursing home. Oldest Living Confederate Widow Tells All spent eight months on the New York Times Best Seller list and sold more than four million copies. The novel also won Gurganus the Sue Kaufman Prize from The American Academy of Arts and Letters. 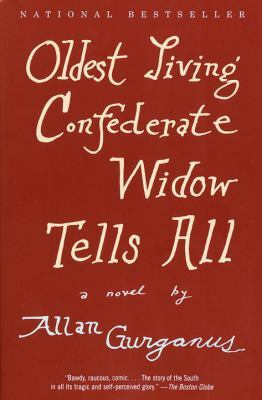 All this proving it was worth the seven long years it took to Gurganus to write Confederate Widow. Gurganus was born in Rocky Mount, North Carolina. He drew a great amount of inspiration from his grandmother, Willie Ethel Pitt Gurganus, who he would visit during his lunch breaks when in grade school. Despite their time together, she never shared her life stories with him. Lucy is his imagination of his grandmother’s experiences as a Confederate-era woman. Right around the release of the novel in 1989, New York Magazine wrote a detailed profile on Gurganus, still available here through Google Books. 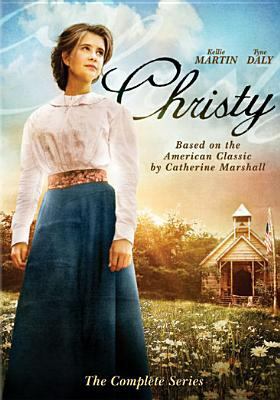 The miniseries, which was broadcast on CBS, starred Diane Lane, Donald Sutherland, Cicely Tyson, Anne Bancroft and Blythe Danner. Lane played Lucy from teenage to middle age. Bancroft portrayed elderly Lucy. Photo courtesy of the Sonar Entertainment website. The adaptation won four Emmys (Art Direction, Costume Design, Hairstyling, and Best Supporting Actress) out of its nine nominations. The miniseries was filmed in Madison, Georgia rather than North Carolina. 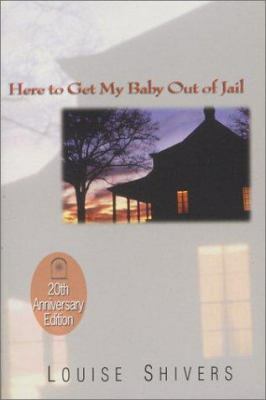 The novel was set in the fictional town of Falls, North Carolina. Gurganus did not write the screenplay, which was instead adapted by Joyce Eliason. The New York Times review of the miniseries indicates that Gurganus played a small part in the production. And, Gurganus in turn spoke positively of the television adaptation. In 2003, Ellen Burstyn starred as Lucy in a theatrical adaptation of Confederate Widow on Broadway. A critic from Variety notes that it was a very long two hours and twenty minutes, attributed partially to the fact that the page-to-stage adaptation was conceived as a one-woman show. Apparently the production closed after one official show. A few years later in 2007, the novel was adapted again for the stage, this time by Gurganus, as a part of the Theater of the American South Festival. The production was pared down to a one-act, one-woman play that was better received than its ill-fated Broadway predecessor. Visit Sonar Entertainment’s site for a short clip from the miniseries and some production shots. But if you’re interested in watching the miniseries for yourself, copies of the movie are available through the UNC-Chapel Hill Library catalog in two locations in addition to the novel. The original blog post on Gurganus’ novel is available here. 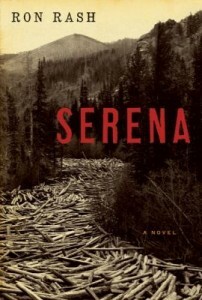 Ron Rash’s Serena has been simmering on the Hollywood back-burner since early 2010. At first the film was scheduled to star Angelina Jolie as the titular character and Darren Aronofsky to direct. However the project never materialized. Two years later, director Susanne Bier took over the project with Jennifer Lawrence and Bradley Cooper cast in the leading roles. Lawrence and Cooper also starred in the popular film, Silver Linings Playbook, which earned Lawrence an Oscar for Best Actress in 2013. Filming occurred in 2012, but the release of the film adaptation has been delayed. Current reports claim the film will be released at some point this year. Like Cold Mountain, Serena was filmed abroad in the Czech Republic despite the novel’s Appalachian setting. IMDb has an official photo of Cooper and Lawrence from production. 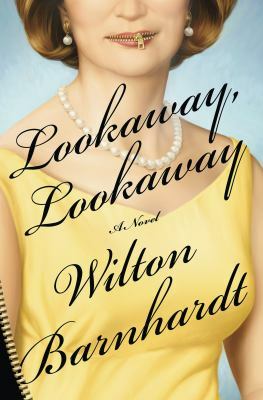 At the beginning of 2014, Wilton Barnhardt’s Lookaway Lookaway was optioned for a series by HBO. 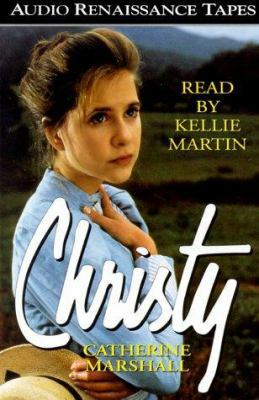 The novel was cherry-picked by HBO “president-turned-producer” Sue Naegle and comedy producer David Miner (who worked on 30 Rock, Brooklyn Nine-Nine and Parks & Recreation). Barnhardt, born in Winston-Salem, is a creative writing professor at NC State. Lookaway, Lookaway is his fourth novel. The novel was set in Charlotte. Barnhardt believes that if all goes according to plan, production may occur in 2015. Finally, Jason Mott’s The Returned premiered this past Sunday on ABC under a new title. Mott’s novel about deceased people mysteriously returning to life was developed for television by Brad Pitt’s production company, Plan B. But there’s already a French television show on the air called The Returned based on a 2004 French film called They Came Back about a small town and the inexplicable return of dead town members. To avoid confusion, the adaptation of Mott’s novel was renamed Resurrection. Of the three adaptations, Resurrection is the only one available to watch at present. Resurrection stars Omar Epps, Kurtwood Smith, and Frances Fisher. Mott’s novel was set in the fictional town of Arcadia, North Carolina. The TV series tweaked the location to the fictional town of Arcadia, Missouri. The show is filmed in Georgia. A Los Angeles Times critic asserts that the show teases out the “investigative” elements found in crime drama and subdues the eeriness found in Mott’s novel. Check out blog posts on each of these three novels here. If you would like to read the novels that inspired these movie and TV adaptations, check each title’s availability in the UNC-Chapel Hill Library catalog. Lights, Camera, Novel: Charles Frazier’s Cold Mountain. North Carolina has been a popular setting for movies and television shows, yet that setting is most often fictitious. Of the 600 movies and shows nominally sited in North Carolina between 1980 and 2002, 95 percent were actually filmed outside of the state. 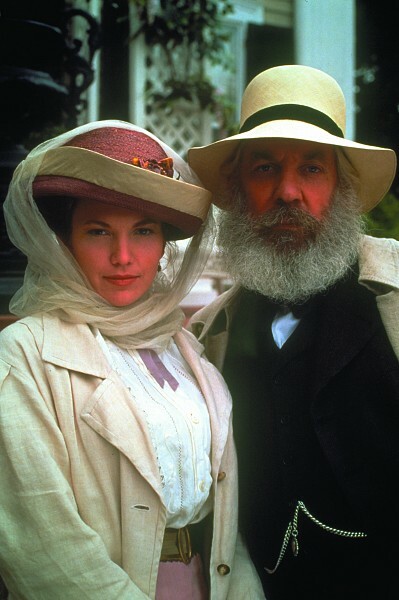 Anthony Minghella’s adaptation of Cold Mountain was one of them. Charles Frazier’s novel depicts Confederate deserter W.P. Inman’s long and arduous journey from a hospital in Raleigh to his home near Cold Mountain and his sweetheart, the genteel Ada Monroe from Charleston, who struggles to survive on her own following the death of her father. British director Anthony Minghella scouted locations over a period of five years before deciding to film the adaptation in Romania. Filming in North Carolina would have been a boon to state tourism. 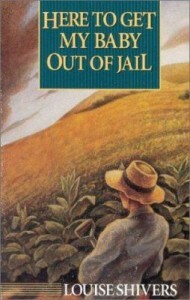 When the novel was released in 1997, it created a small increase in tourism. Local businesses and state officials knew that filming here would both make jobs and increase tourism. Romania was a more attractive choice to Minghella because the rural landscape is much more intact than in North Carolina, where elements of modern life, like telephone poles and paved roads, are present, and logging has altered the area’s appearance. Minghella also noted that there were too few period buildings around Asheville and its environs. By contrast, Minghella could more easily manipulate the Romanian countryside to look like Civil War era North Carolina. The majority of the film was shot in Romania, though a few locations in North Carolina, South Carolina, and Virginia were used. The real Cold Mountain at its highest point is a daunting 6,030 feet. The mountain is located within the Pisgah National Forest. Asheville’s tourism site advises that only experienced hikers should dare to take on 11-mile hike, which has no trail markers. Visitors can view the mountain from the Blue Ridge Parkway. Inman, Frazier’s protagonist is based on relatives–chiefly his great-great-uncle, but also his great-grandfather. Frazier retrieved information about Inman’s service from the North Carolina State Archives, whose records state that Inman deserted twice, although conflicting records throw doubt on the second desertion. Inman’s neck injury sustained during the Battle of the Crater and his death at the hands of the Home Guard are verified facts, represented in the novel and the movie adaptation. Overall, the movie, featuring Hollywood stars Jude Law, Nicole Kidman, and Renée Zellweger, is faithful to the book in terms of plot, though there are differences in mood. The romance between Ada and Inman and the violence (specifically the brutality of the Home Guard) are accentuated on-screen. Most of the characters are appropriately scruffy and disheveled, given the tough conditions, but Charles McGrath of the New York Times notes that Kidman’s Ada Monroe remains improbably radiant throughout the film. Treatment of race and slavery drew some critical remarks. Both the book and movie’s portrayal of the Battle of the Crater downplayed the important presence of black soldiers on the Union side. Brendan Wolfe made a counterpoint during a critique of the first chapter of Kevin Lenin’s Remembering the Battle of the Crater: War as Murder. Wolfe is not troubled by how the novel and the film skirt around these tense issues since the focus of the story is not strict historical accuracy or a panoramic view of the war. Cold Mountain is the story of a disillusioned man on an epic trek home that parallels The Odyssey. But race and slavery are difficult topics to broach, and the representation of the American South throughout film history is varied. Minghella’s Cold Mountain was recognized with over 70 awards following its release in 2003. Renée Zellweger won Best Supporting Actress at the Academy Awards, and the film was nominated for Best Actor, Best Cinematography, Best Editing, Best Original Score, and Best Original Song twice: for T-Bone Burnett and Elvis Costello’s The Scarlet Tide and Sting’s You Will Be My Ain True Love. For those interested in the music of the film and Appalachian folk songs, look at this interview of Charles Frazier in the Journal of Southern Religion. Cold Mountain was the seventh film directed by director-producer-screenwriter-actor Minghella who died in 2008. The movie is available through the UNC-Chapel Hill Library catalog, as is the novel. The original blog post on Frazier’s novel is available here.